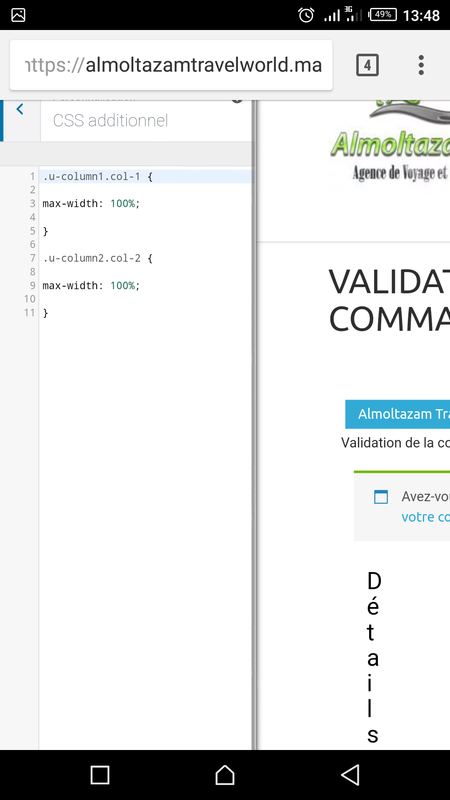 L'affichage de la page validation commande n'est pas ajusté. As per your request, we have seen your screenshot and we are giving you some easy steps and CSS to fix it. Go to Dashboard >> Apperance >> Customize >> Additional CSS > Paste the given CSS on it >> Publish. 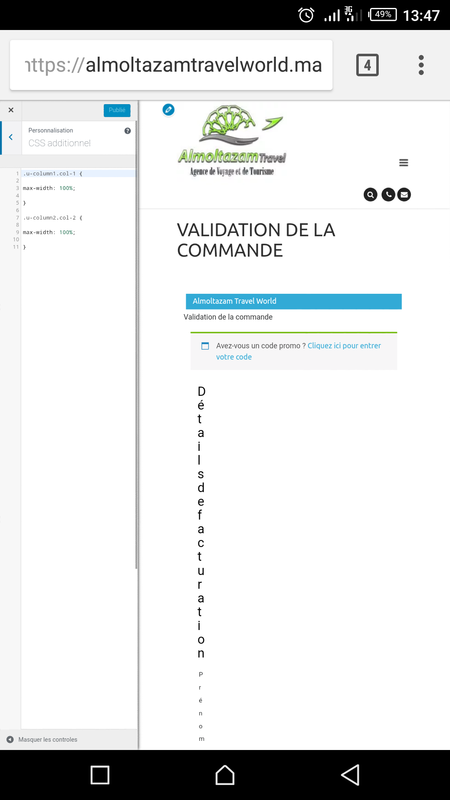 As per your request, we have seen your screenshot and we are giving you some modified CSS to fix it. 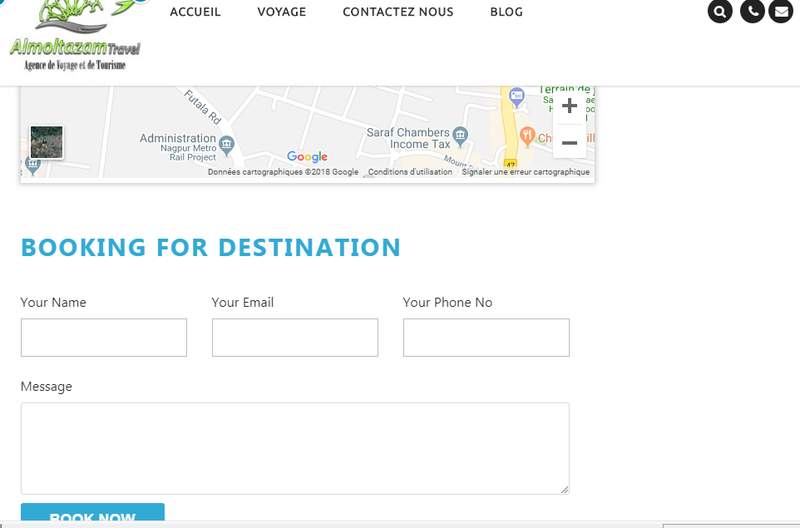 The Booking form which we have used previously is replaced by the Contact form 7 form as the booking form as it was not working well. 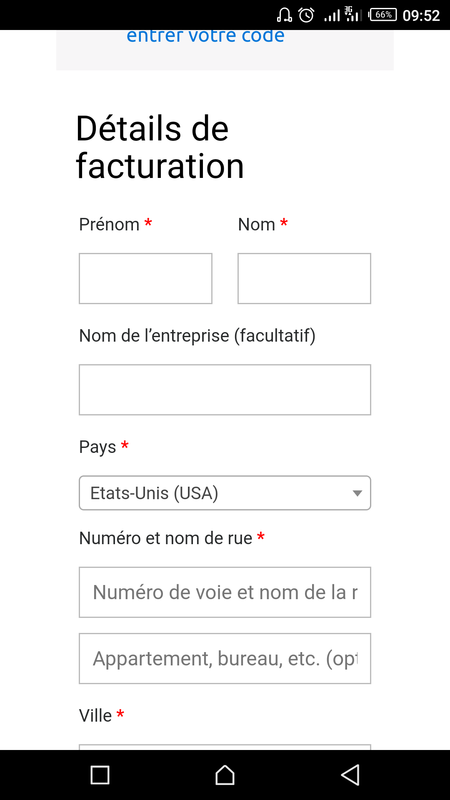 The form functionalities are now easy to use. Now your clients can register themselves using this form. You will get an email address whenever anyone registers for the booking and we have given you access to download the new update version. Allez à https://www.themesglance.com/my-account/ et téléchargez le thème. Si vous avez besoin d'une autre aide, merci de nous le faire savoir.